Let’s face it, everyone and their dog has done a rundown of their top 10+ of Baselworld 2018 by now. That said, few have really isolated their picks down to individual choices in a given category. We’re talking about three core categories today—the best value, the best “over the top” watch, and the best future classic. There were a lot of contenders in the first and last of our three categories this year, whereas the second was effectively a no-brainer. With the generally lackluster showings of Baselworld over the last handful of years or more, the “value” category has become a more contentious one than ever, and though in the last couple of years the indie brands have come out swinging with wild new releases, event that category seemed a little soft overall in 2018. All told this year was by no means a bad show, and left us with much to talk about, but for now let’s focus in on our three hero watches that grabbed our attention this year. For a number of years now, Seiko has been pulling out all the stops to further establish themselves as equal (if not superior in some ways) to the Swiss. While anyone who’s given them the time of day will acknowledge that offerings from Grand Seiko worth every penny. While this watch does not have the same price tag as a stainless steel Rolex Datejust, Seiko is able to produce highly accurate timepieces. Those who’ve had the opportunity to examine the recent enamel-dialed presage models first-hand were left with the same perspective: how the hell are they pulling this off for the price of entry. 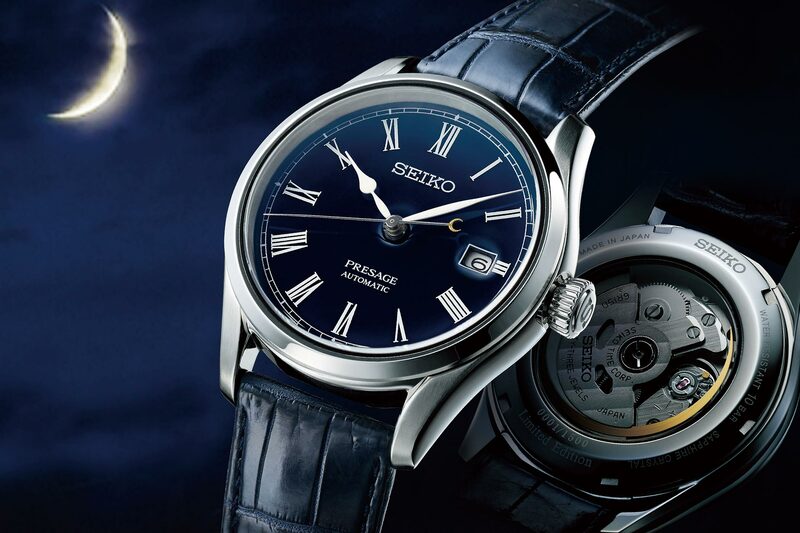 Previously offered in white, black, and most recently midnight blue enamel, this Seiko Enamel dial is simply jaw-dropping in person—something that tiptoes on rivaling the stellar translucent blue over guilloche Grand Feu enamel dials for a small fraction of the cost of entry. Much like the enamel dials found from the Swiss masters, a specially developed lead-free glaze is hand-painted onto each dial by master craftsman Wataru Totani and then fired at 800 degrees. After each firing, Wataru inspects and reapplies as needed until the desired finish and richness of color is achieved. Finally, the dial is polished to perfection. Under this elegant skin, the self-winding caliber 6R27 beats away at 28,800 vph, and delivers a 45-hour power reserve all while indicating time, date, and power reserve. The price of entry? Just over $2,600 USD (and just over $2,000 for the simple 3-hand date version). Does your 300m dive watch “need” a tourbillon? Considering 90% or more of dive watches are never attached to someone in scuba gear in the first place, the right answer is “who cares?” The team at Angelus are masters of modern movement skeletonization, and the fact that they applied their skills to a legitimately rated 300m diver which is more than vintage Rolex Submariner models. 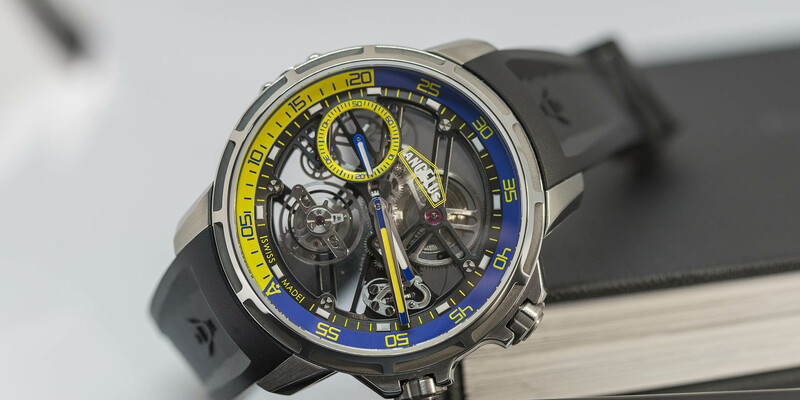 The elaborate hand-wound caliber is fitted into a 45mm titanium compressor-style case, with one crown being used for time setting, and the other to operate its internal timing bezel. Of course given its depth rating, both crowns are screw-down. As one would expect, the A-300 caliber is no slouch both in terms of function and finishing. The 60-second tourbillon movement is only 4.3mm thick, which left ample space for sapphire crystal thickness to ensure it would pass pressure testing. Its skeletonized and chamfered mainplate and bridges are all finished with an ADLC coating, which not only adds visual appeal, but also further enhances legibility—a thoughtful move considering the U50’s dive watch status. Last but not least, this Jubilee Pepsi GMT is the Best of Baselworld 2018. 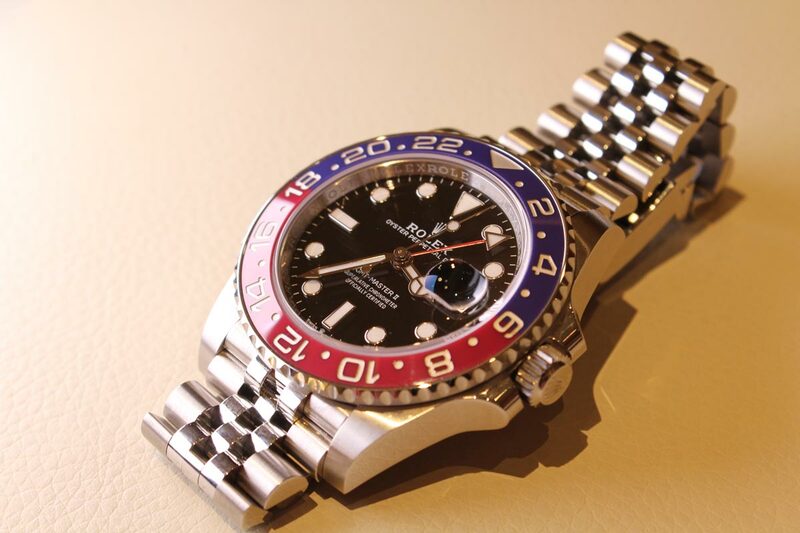 When it comes to future (or even present) classics, You’d have a tough time arguing that Rolex didn’t steal the show at Baselworld 2018 with the unveiling of this new steel-cased Pepsi bezel GMT on a Jubilee bracelet. This is the first modern steel GMT on Jubilee in ages, the first ceramic-bezel Pepsi in a non-precious metal, and also the first of the GMTs to feature Rolex’s all new caliber—the 3285. A new Chronergy escapement and redesign of its mainspring barrel have upped the power reserve to a healthy 70 hours, which is leaps and bounds above its predecessor. Tech specs aside, this is THE watch that everyone was talking about as the fair kicked off. “Have you had a look at the new Pepsi GMT yet?”, or “Have you had your Rolex appointment yet? It’s so good, right? !” Were lines heard so often that most journalists were sick of talking about the damned thing by the time the show was over. The moral of the story? These things are gonna be everywhere the same way the first ceramic Daytonas were (and continue to be) in high demand.